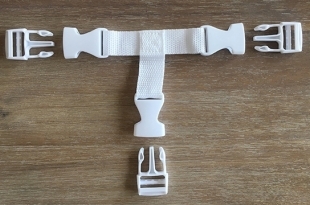 A full replacement buckle set includes one t-shaped 3-way buckle and three, 3-prong buckles that simply attach to the straps on Table for Two. Each full set is a complete buckle set for one side of Table for Two. You would need to purchase two sets for both sides.